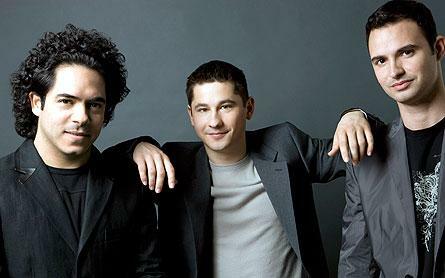 The Hope College Great Performance Series will present the Eldar Djangirov Trio on Wednesday, Nov. 7, at 7:30 p.m. in Dimnent Memorial Chapel. Djangirov, known just as Eldar to his fans, has created a buzz in the jazz world with his combination of jazz sense and technical skills. When Eldar was signed to Sony Classical at the age of 17, the young pianist from Kansas City was already well known for his prodigious pyrotechnics and precocious knowledge of the bebop tradition. Along the way, he has worked with masters including Dr. Billy Taylor, Marian McPartland, Dave Brubeck, Wynton Marsalis and Michael Brecker. Through these opportunities and other musical experiences, Eldar continues to explore new frontiers through composing and performing, enabling him to ultimately realize his own musical vision. Eldar has appeared at numerous major jazz festivals including Tokyo Jazz Festival, Lionel Hampton Jazz Festival, Java Jazz Festival, Vienna Jazz Festival, Monterey Jazz Festival and San Francisco Jazz Festival, and has toured extensively throughout North America, Europe and Asia. He has performed at venues ranging from the Hollywood Bowl to Carnegie Hall, and has played at the most notable jazz venues across the world. Eldar has been seen on national TV including the 2000 and 2008 Grammy Awards, Late Night with Conan O’Brien, CBS Saturday Early Show and Jimmy Kimmel Live. In addition, he has also played with world-renowned symphony orchestras such as NHK Symphony Orchestra, Russian National Orchestra and San Diego Symphony Orchestra. The DeVos Fieldhouse is located at 222 Fairbanks Ave., between Ninth and 11th streets. Dimnent Memorial Chapel is located at 277 College Ave., on College Avenue at 12th Street. Hope College musicians will perform through the monthly “Brown Bag Concert” series at the Holland Area Arts Council on Friday, Nov. 2, at noon. Dr. Gregory A. Petsko, a biochemist whose research focuses on protein structure and function, and the development of methods to treat age-related neurodegenerative diseases such as ALS, Alzheimer’s and Parkinson’s, will present two addresses at Hope College on Thursday-Friday, Oct. 25-26, while on campus through the annual James and Jeanette Neckers Lectureship in Chemistry.